Milestone birthdays are a time for celebrating and reflecting. And on Monday, when he turned 30, Sidney Crosby was able to do both with the Stanley Cup by his side - though he did admit it was more about the former than the latter for him. "It's just a number," Crosby said. "When I think about that, it's a number. Sometimes I don't feel 30. Sometimes I do. It depends. I just try to enjoy things as much as I can. It's pretty special to be able to do this on my birthday, share with everybody. I'll just take that as a great experience and move on. "I'm just happy to have the Cup here, and to be spending time with it and everybody on my 30th, I'll take that for sure." Today marked the second of back-to-back days with the Cup for Crosby as he celebrated the second of back-to-back championships in his native Nova Scotia before heading to Quebec. On Sunday, he traveled to the Camp Hill Veterans Memorial Building and IWK Children's Hospital in Halifax during the morning and afternoon before hosting a private party at his residence that evening. "The best part about it is just seeing everyone's reaction regardless if they're a hockey fan or not," Crosby said of his hospital visits. "Especially some of the veterans yesterday, they were pretty impressed. They were talking about those Montreal teams, Toronto. Every second one on some of those rings is Montreal and they were pretty happy to see that. It was fun to share it with them. They've got a lot of great memories of some of those teams." Crosby then had a packed schedule for Monday, which began with him acting as grand marshal of the Natal Day Parade that started in Halifax and ended in Dartmouth. "There's a lot of pride and people are just really excited to see this," Crosby said. "I'm sure all of them aren't necessarily Pittsburgh fans. I know growing up here, Montreal, Toronto and Boston seemed like the three teams everyone was rooting for, but I think we have a few more Pittsburgh fans back here now. A lot of excitement, very similar to what you see when we have a parade in Pittsburgh." As soon as that parade finished, Crosby got on a plane to Rimouski, Quebec, where he participated in another parade in the town he played junior hockey for the QMJHL's Oceanic. "It's kind of a last-minute thing," Crosby said of taking it to another province. "My assistant coach from Rimouski was in town and he said that they had some time and could make it work. They found a way to put something together pretty quickly so it'll be cool to go back there and bring it there. That's a place I have a lot of great memories and I'm sure people will be pretty happy to see it. Over the years I have still kept in touch with a lot of people there. A lot of people came from there, the guys that I played with in junior, for this weekend so it'll be cool to go back there." Those parades came after he also hosted parades in his hometown of Cole Harbour in 2016 and 2009. It's always been incredibly important for Crosby to include as many people as possible in the festivities, and as a result, he's been able to share the Stanley Cup with thousands and thousands of citizens in the community he loves so much. "I try to appreciate it and soak it up as much as I can. I try to share it with as many people as I can because I know there is so much support here and so many people that would love to be in this position," he said. "That's the best way I can describe it." Having done this a few times now, Crosby said the best part of having the Stanley Cup is the reaction he gets. "The things that are kind of just random that fall into place are probably the best memories, the best moments," he said. "You try not to plan too much, just try to wait and see the reactions. Regardless if you're a hockey fan or not, it just kind of demands attention so everyone flocks to it really quickly." The Cup will go to Prince Edward Island tonight from Quebec, and Crosby will turn his attention to hopefully bringing it back home for a third straight year. "Once the Cup leaves tonight it kind of sets in a little bit more," he said. "It's fun to celebrate it and enjoy it and you have a couple days, but then you get ready for the next one. I think you crave that as a player. You like having that routine, that structure back. I'm excited to get back into that mode." 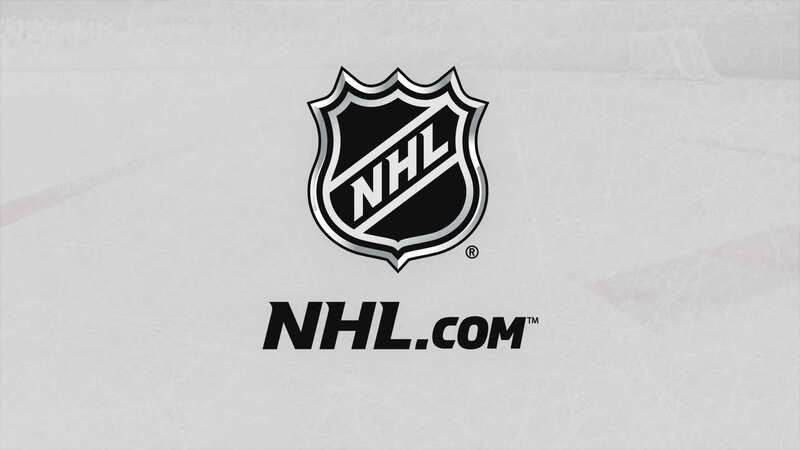 Huge thanks to Dan Rosen of NHL.com for providing the transcript of Crosby's press conference.